It’s early morning in Cartagena and my JetBlue flight from New York City already seems a distant memory as my cab zips along the narrow streets and cobble stone passageways of the city. 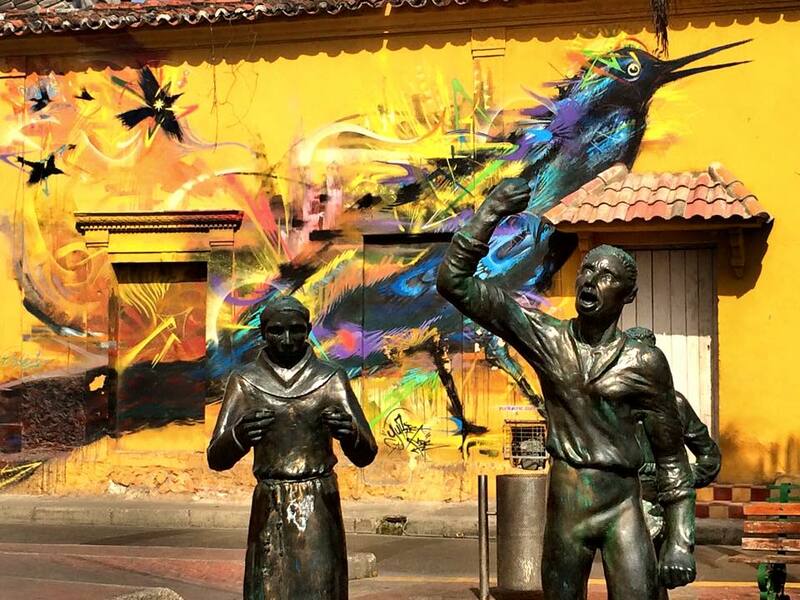 I am headed to the Casa Santa Ana Hotel in the neighborhood of Getsemani, where socio-political graffiti and artwork is splashed colorfully against the bright walls of the buildings. Getsemani is considered the artistic neighborhood of Cartagena and is home to a slew of restaurants and boutiques, nightclubs and plazas that come to life each evening. Perhaps just a 15 minute walk from the Old City, Getsemani retains that colonial charm that is so unique to the seaside town in Colombia. The cab pulls up to Casa Santa Ana on the street Del Carretero just steps away from the Plaza de la Trinidad, where each evening people gather to sip local cervezas and listen to live music. The hotel is subtle in its exterior–with little more than a door and plaque to alert you to its existence–but once you are inside it opens up into a warm courtyard where tropical foliage hangs down and an open air kitchen and living room welcome you in. Attentive staff dressed in white offer to cut up fresh fruit or whip up tropical smoothies, while check-in proves easy and seamless. 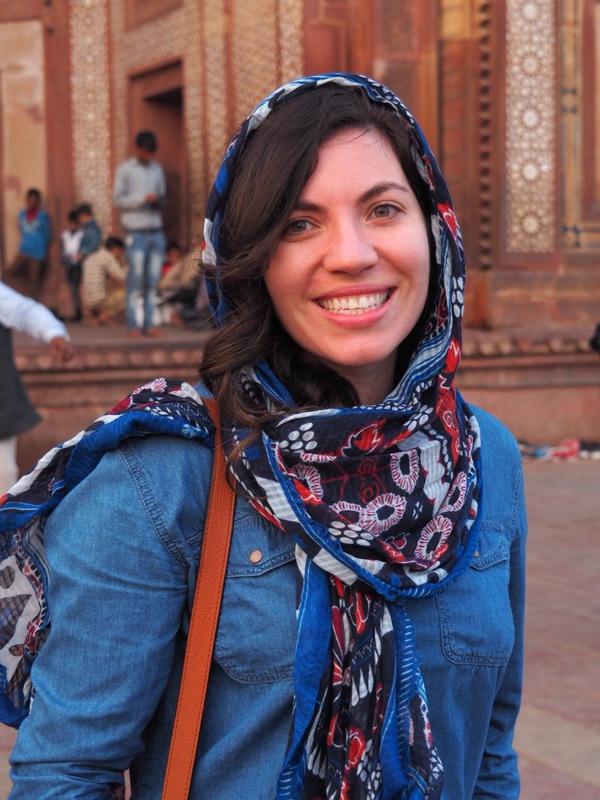 The bedrooms are spacious and air-conditioned (a Godsend in a city where temperatures average 80 degrees and rarely drop below 70 at night!). The bathrooms are large and have hot water; a more than welcome surprise after previous visits to Cartagena had left me taking rapid-fire showers in chilly water that had me considering foregoing bathing until my return home. The rooms come with all the basic amenities one would expect in a hotel–from a safe to store valuables to a television–and offers a calm, cool corner of the city where comfort is paramount and location is key. The hotel is quiet and the rooftop–by far my favorite aspect of the hotel–has a view of the hilltop Pope monastery rising in the distance and a pool to cool down in. 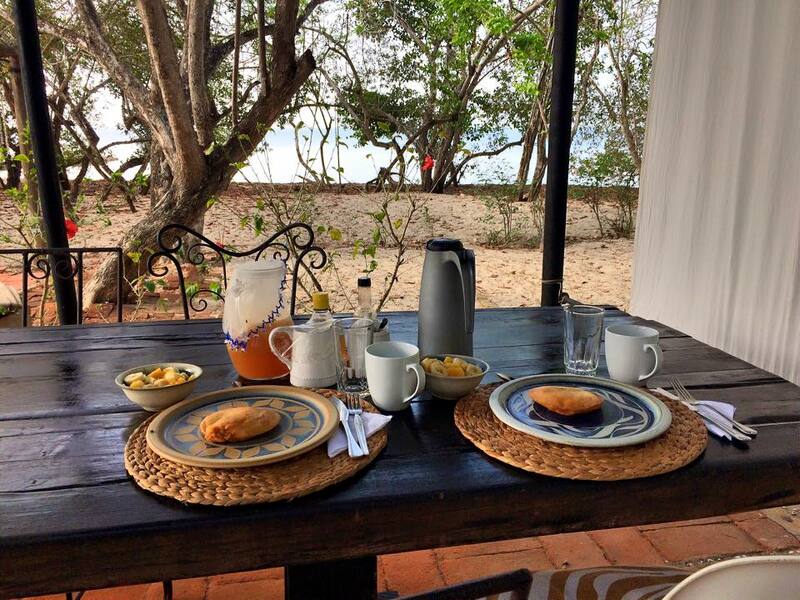 Casa Santa Ana offers an in-hotel spa and a complimentary breakfast (although I recommend simply walking to the nearby plaza in the morning to buy fresh squeezed orange juice and arepas from the local vendors). Four nights and three days in Casa Santa Ana and when it came time to leave, I did so reluctantly as it felt like I was leaving my perfect little Cartagena home. 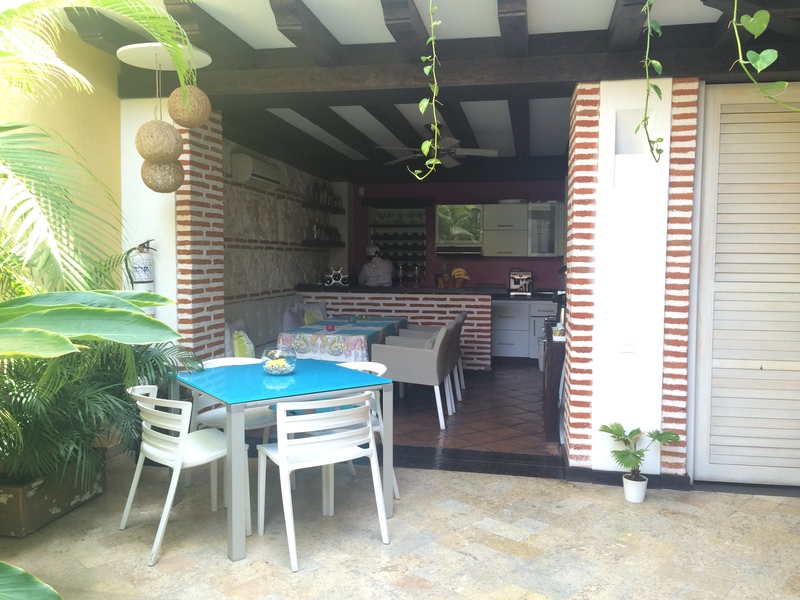 When it comes to staying at hotels I tend to shy away from the corporate, uniform accommodations in lieu of boutique spots with personality and flavor; and Casa Santa Ana is exactly that: a perfect corner of Cartagena that is affordable and romantic. 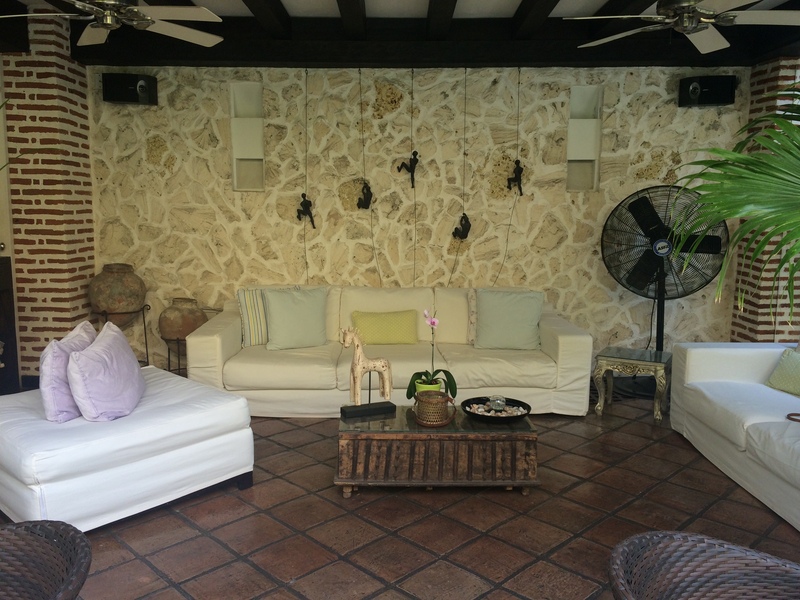 The Casa Santa Ana Hotel is absolutely perfect for couples. Everything about this hotel seems to scream romance–from the couple massages to the hot pink flowers that surround the pool, to the his and hers bathrobes to the music that floats over the night sky from the surrounding plaza and rooftops. 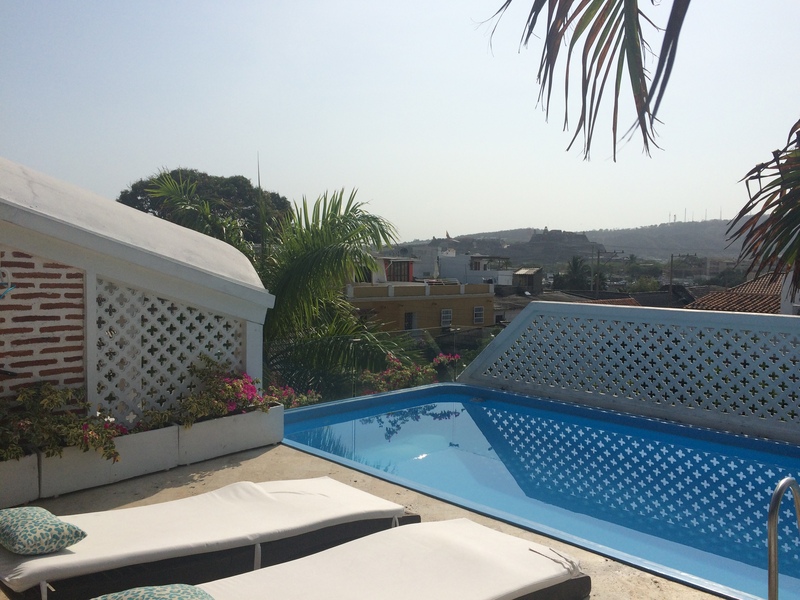 Check out other hotel reviews in Cartagena and other cities around the world here! *I was invited for a complimentary stay at the Casa Santa Ana Hotel in exchange for editorial coverage. 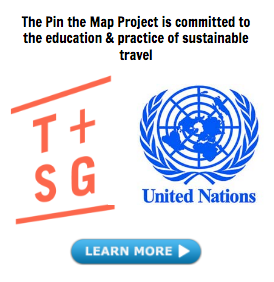 As always, all opinions & experiences on The Pin the Map Project expressed are my own. Thanks! Definitely cannot recommend this place enough! While rustic, it is such a unique stay. One night was perfect for me. If you go, enjoy your stay! !